A metric riv nut is a one-piece internally threaded and counterbored tubular rivet that can be anchored entirely from one side. There are two types: one is designed to form a bulge on the back side of the panel as a screw is tightened in its threads. The other rivnut type is similarly drawn using a screw but is drawn into the sleeve instead of creating a bulge. In addition, these advanced quality metric blind rivet nuts are available in European standard sizes. Contact us for more information regarding the metric blind rivet nut options that JHP can provide for your project needs. Generally, metric style riv nuts are usually classified as either coarse or fine, depending on their thread pitch. Coarse metric riv nuts, when compared to standard versions, tend to be less coarse, having more closely spaced threads of a comparable size. 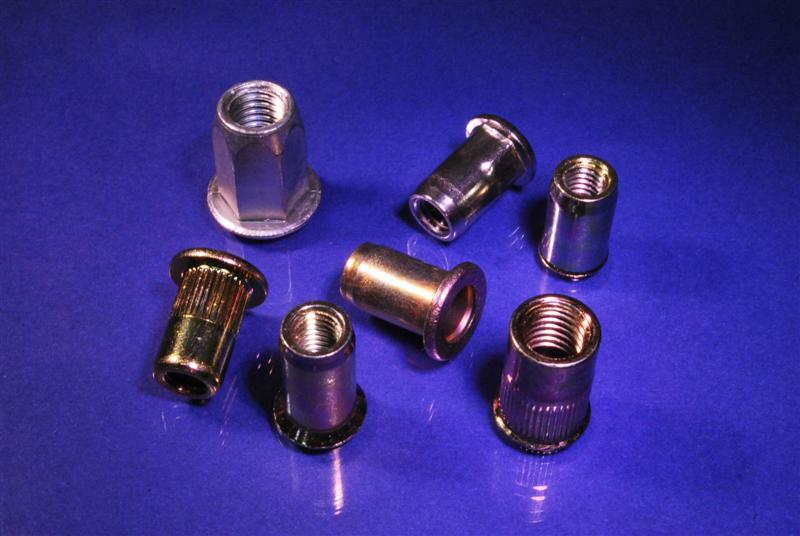 Fine metric rivet nuts can display different qualities of fine, depending on size. Contact usfor the highest quality metric riv nuts in the industry, or call us at 800-783-0910 with any questions you may have.